An Irish teen has developed a Tinder-style app for news that allows users to swipe for the content they want to read. Alex Goodison (14) built 'Swiipe' after setting himself the task at the beginning of his 13 week summer holidays. "I've always been interested in the news. People around my age don't read the news that often, they may not relate to a long article just full of text alone," he told independent.ie. "That's why Swiipe is how it looks and why the interaction is different." The app, which has just undergone an update, invites users to select a number of news sources from up to 50 options. After the content loads, the user is then presented with a full screen article which they can tap to read it straight away, swipe left to ignore it or swipe right to save it for later. 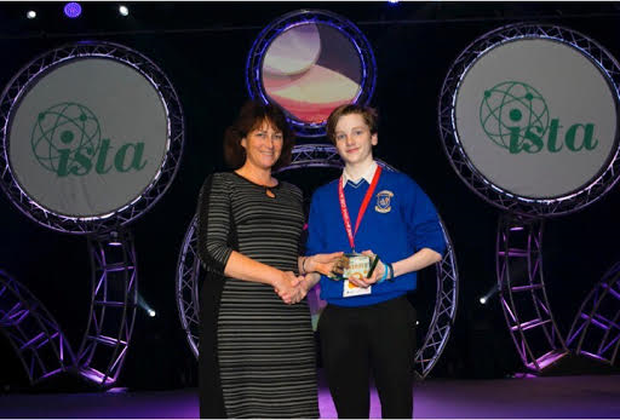 The Cork student from Colaiste Iosaef in Kilmallock, Co Limerick, has already created a number of other apps - but said he wanted to make something "for the entire world". "My target market is not just young people, it's for everyone, it's just a different way of reading the news," he said. Alex has "always been into tech" and said that his dad, who works as a computer programmer in Dublin, offers him inspiration and guidance. "He gives me pointers on how to handle certain things or certain directions in which to go in," said Alex. Swiipe is just the most recent - and perhaps the one with most global reach - of Alex's app developments to date, which include a tennis tool and a defibrillator locator in Ireland. A revision tool 'Pocket Know', which has gathered some 2,000 users to date, won the second prize in the Intermediate Category (2nd and 3rd years) at this year's Student Enterprise Awards. The app aimed at helping students study more effectively for exams also won a special award at the BT Young Scientist competition. "I've always wanted to start my career early so I wanted to figure out what I was interested in," said Alex. "It's difficult to figure out what you want to do for the rest of your life."